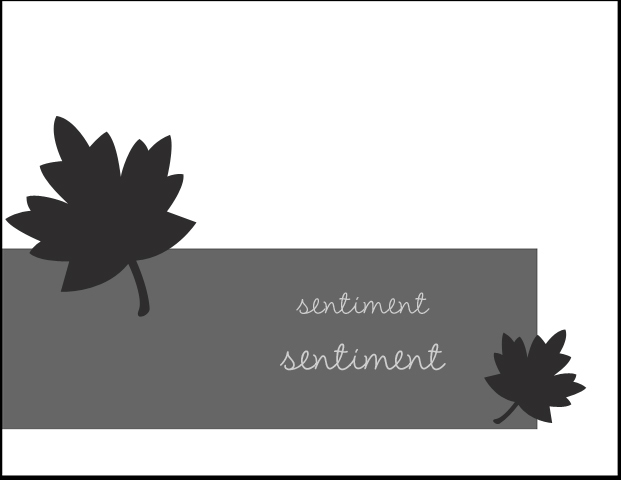 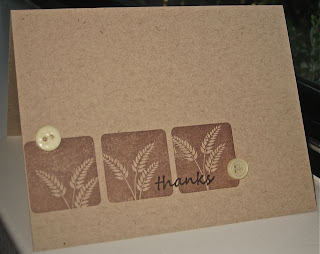 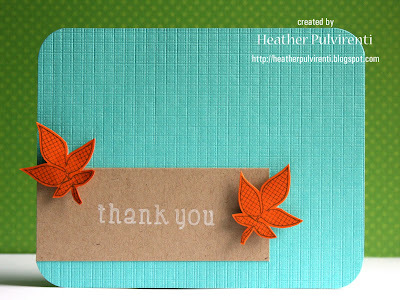 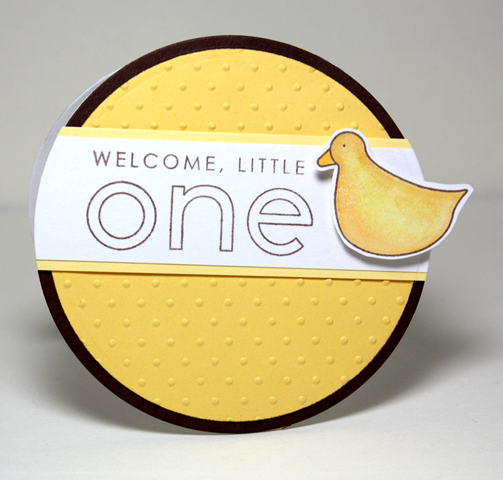 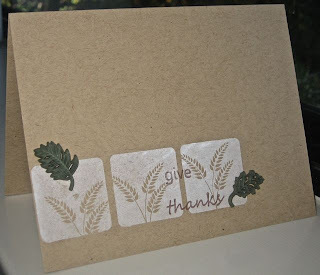 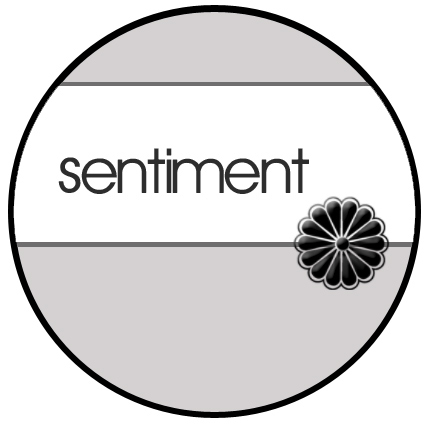 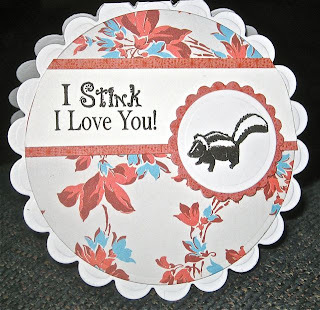 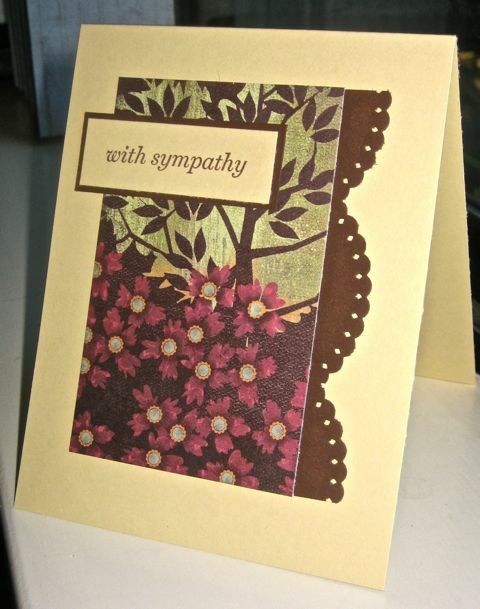 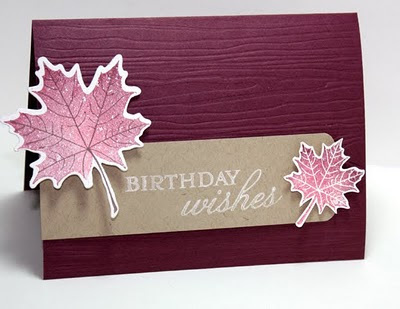 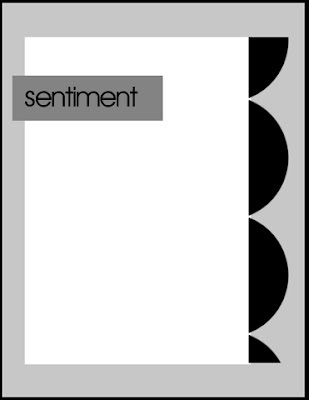 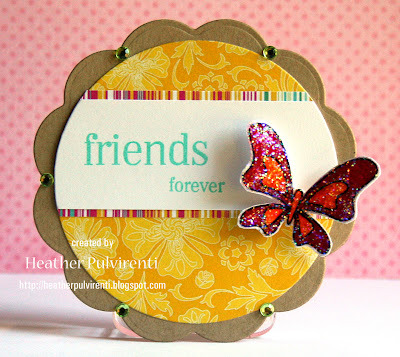 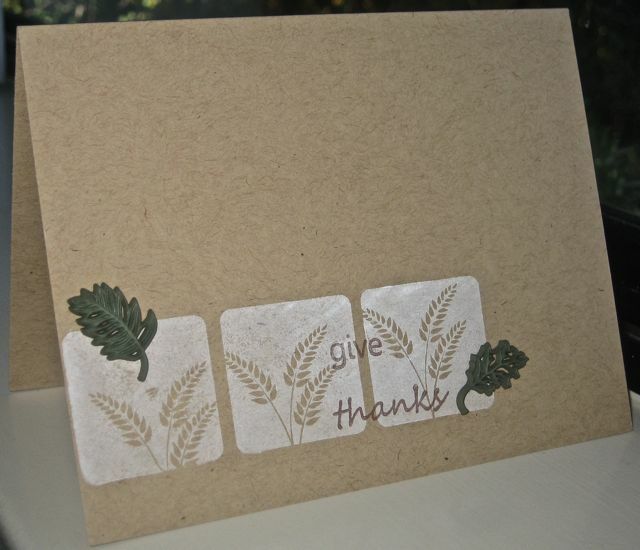 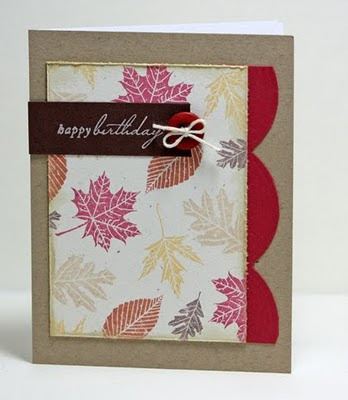 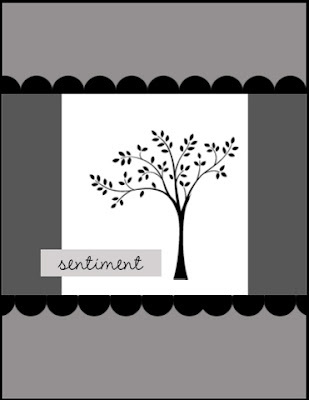 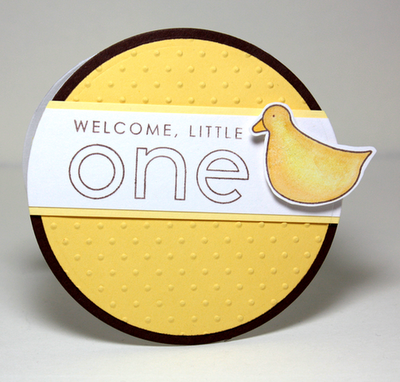 I'm popping in today to share the card I created using this week's Fall-to Layout #106. I used the PTI canvas impression plate, as well as this adorable leaf image from the Clean & Simple Stamps Fall Studio set. I wanted to try this sketch as a one layer card so I stamped the horizontal panel. 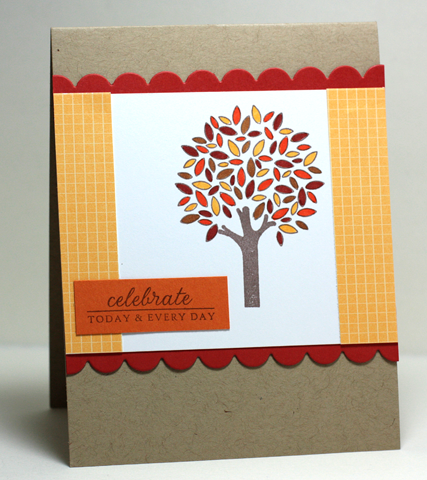 I was also playing with color combinations.